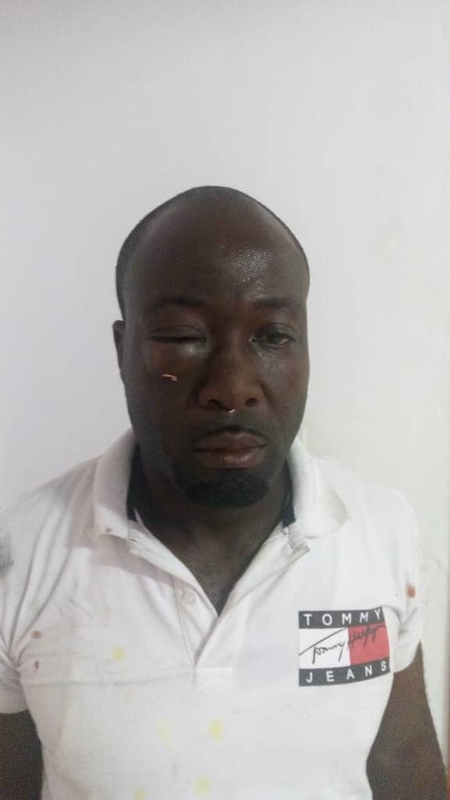 GHOne TV Cameraman Raynold Dadzie is still suffering four days after the savage mob attack that almost took his life. The team was covering a protest over the killing of 7 suspected armed robbers by the police Anti robbery team at Manso-Nkwanta in the Ashanti region when a group being described as Nima boys from Accra attacked him and destroyed his camera. After checking up on him this evening, we found out that his swollen eye is only just opening, his head still hurts severely, his nose continues to bleed, and he is still unable to sleep comfortably or at all.